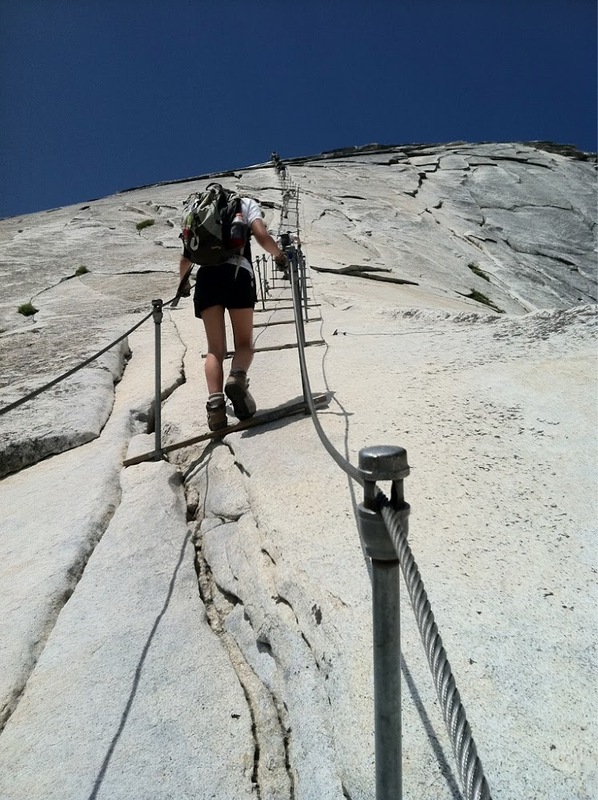 I got to hike Half Dome today! I decided it was worth it to me to take one more day from the trail to do this side hike. After a failed first attempt a few days ago, I decided to attempt it from the valley like most day hikers. It was a great day! My mom and stepdad woke up early to drop me off at the trailhead so I could get an early start at 7:30am. Thanks mom and Mark! The trail was great and I took video all the way up that I will be posting in a couple weeks. There are two spots at the top to take cool pictures, so here are both. I’m tiny from afar, but the pics are cool! I was excited to get a day to myself on a trail and it was peaceful in the morning with a few other hikers on the trail. It took me just under 9hrs to hike it and it was great to do a hike without my full pack. It was also great to be out of the snow and at low elevation. I got to see how my body has become a hiking machine. It was cool to easily do a hike that I would normally struggle to do. The trail was uphill most of the way and the cables at the top were challenging. It was straight up the slick rock face. There was thunder and clouds gathering so I rushed up before rain came. Luckily, it cleared. It was so steep at the top, that I was using my arms more than my legs to pull myself up. My arms haven’t done that much work in a long time. If you are afraid of heights, don’t do it! On the way up, I saw Snowblind and Bottle-Rocket(without his wife Sunflower who had to return to work) coming down. It was fun to see other PCT hikers. They will be camping at the same campground as me tonight and there seems to be a good group heading out together tomorrow. Yay! 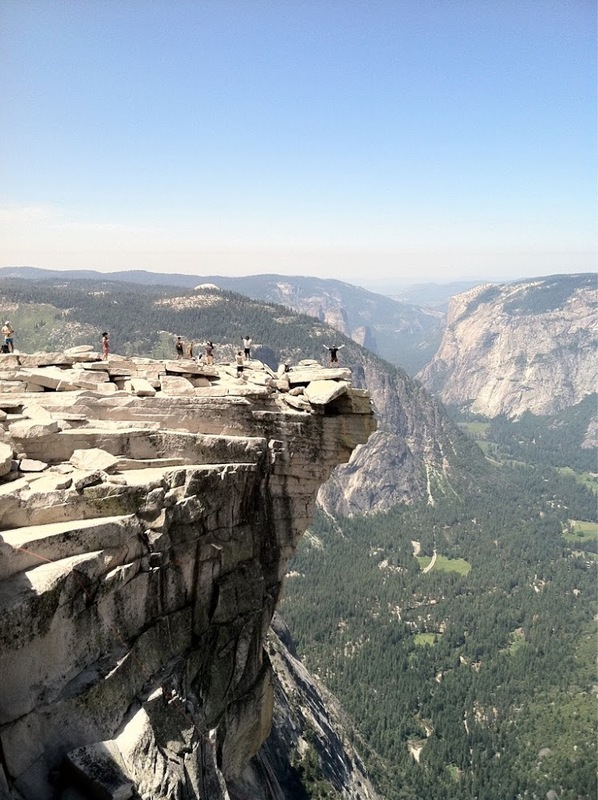 When I got to the top of Half Dome I saw Jimbrick, Milli, Stag, and 12oz. They had all hiked in on the JMT. I hiked down with them and we saw Topsy Turvy and Data Muffin coming up. I was excited about seeing them because I knew them in Portland before we left and I hadn’t seen them since Warner Springs. It’s great to know they are doing well. 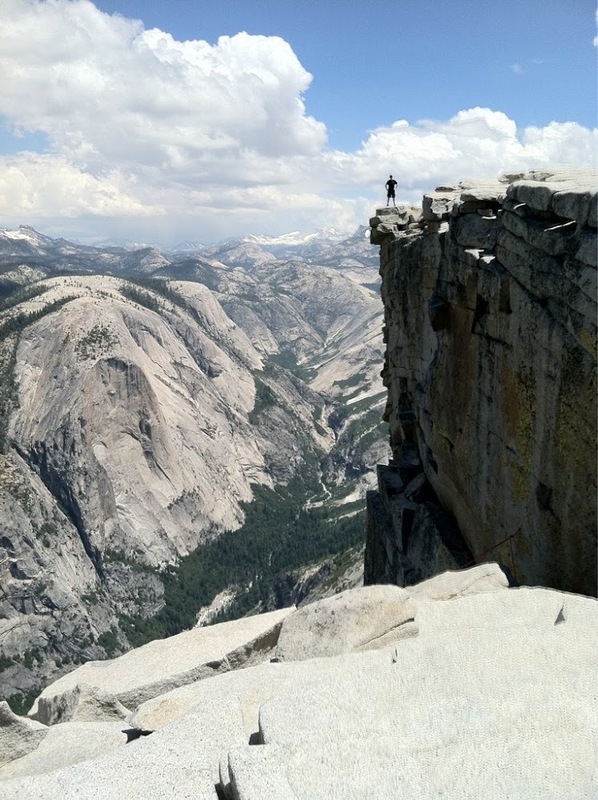 Seeing all the hikers on Half Dome was really cool and it was great to have that feeling of community. With the days I’ve taken off, I had a worry that I had fallen behind everyone I knew. I was happy to see so many people I knew on the same schedule. Balls & Sunshine are still in Tuolumne Meadows with family and we will leave together tomorrow so that’s reassuring. This coming section is the section that has rerouted the most hikers. The word is that the stream crossings can be impassible depending on the day and time so many hikers are either finding another route to walk or skipping the section. We have hopefully timed it just right and will have good water levels. My thought is that I didn’t make it this far without detouring just to skip a section without at least trying. I’ll be so excited when this section is over! 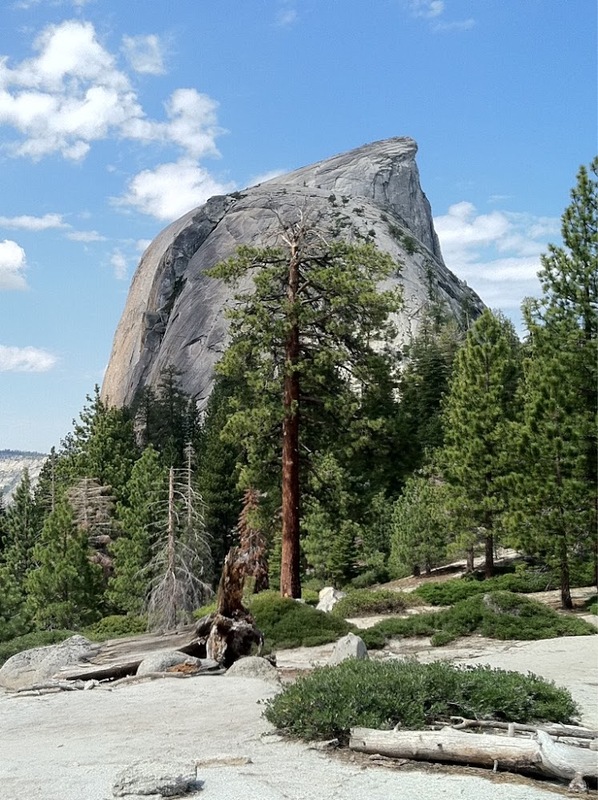 Did you need a permit for the half dome from the PCT? I’m pretty sure you do these days. Not 100%. I ended up getting one and coming in from the valley side.